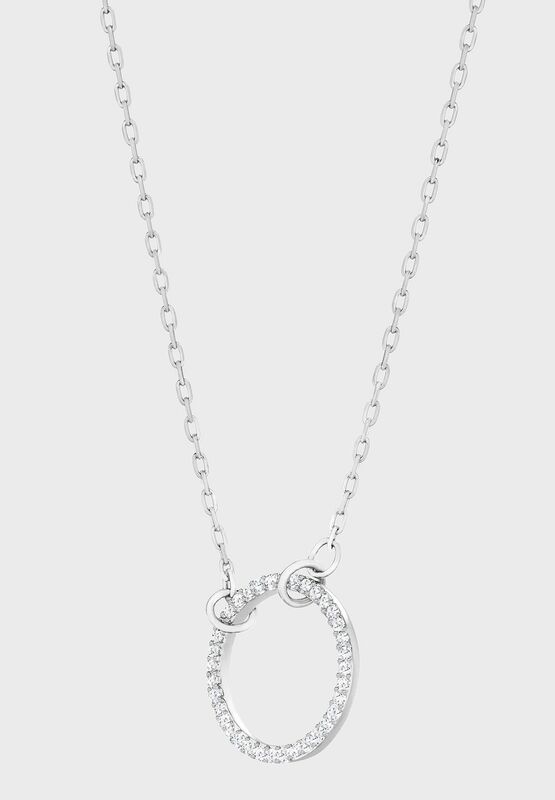 This fresh take on classic Swarovski sparkle will update your collection in an instant. 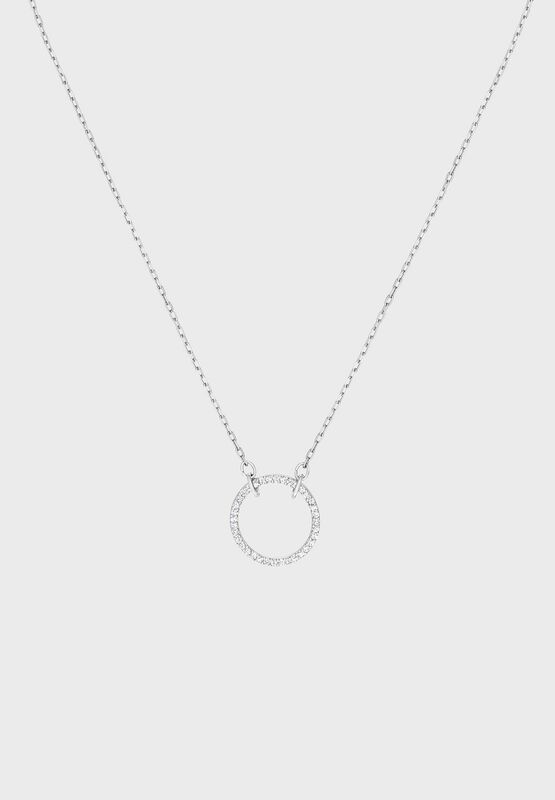 Featuring a circular motif sparkling with a fine line of classic pave, this necklace's understated style will effortlessly enhance everyday outfits with cool romance. 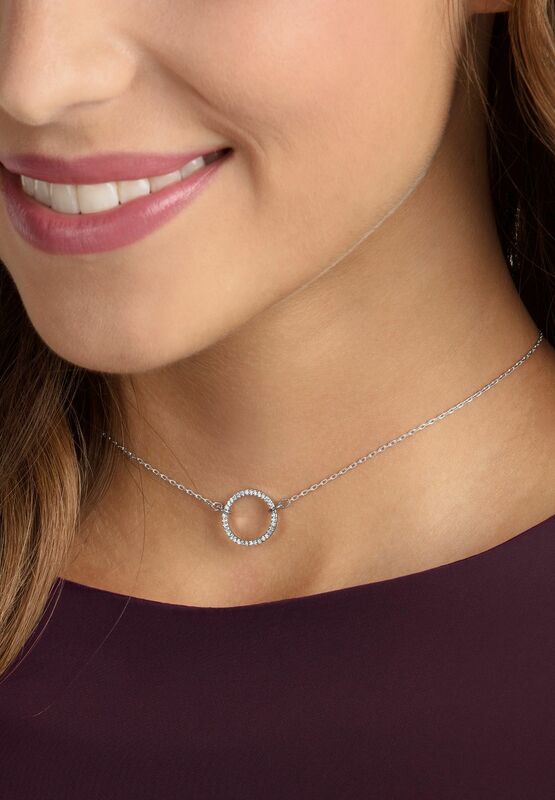 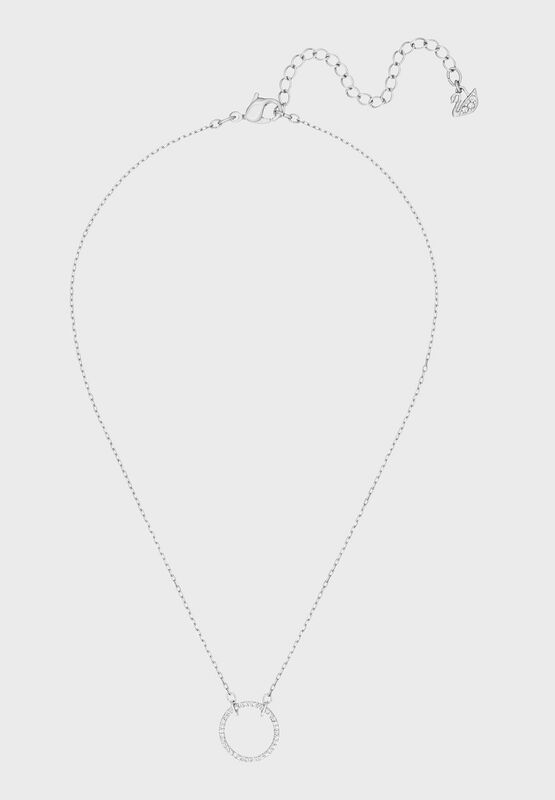 Wear solo, or pair other rhodium-plated pieces to champion the layering trend.